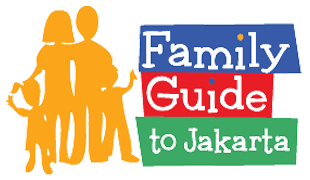 We will update this page regularly according to program. 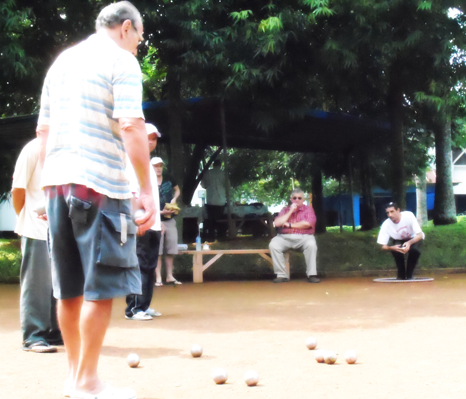 Welcome to organise your own Pétanque event with us ! 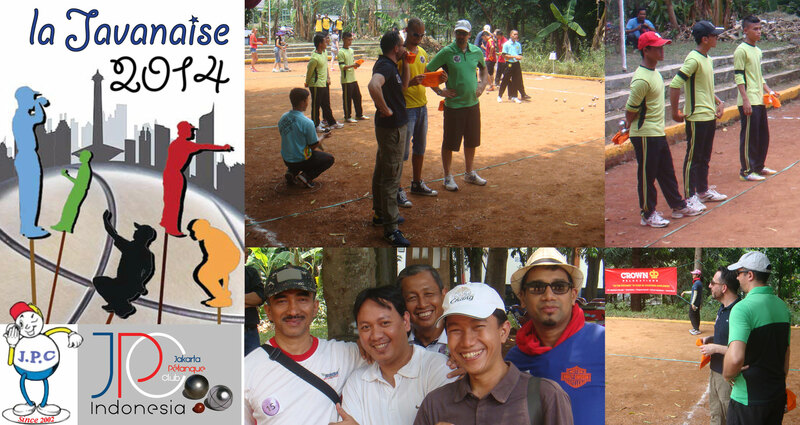 For this 4th edition we were happy to break all our records of players; a perfect number of 32 teams enjoyed the battle. 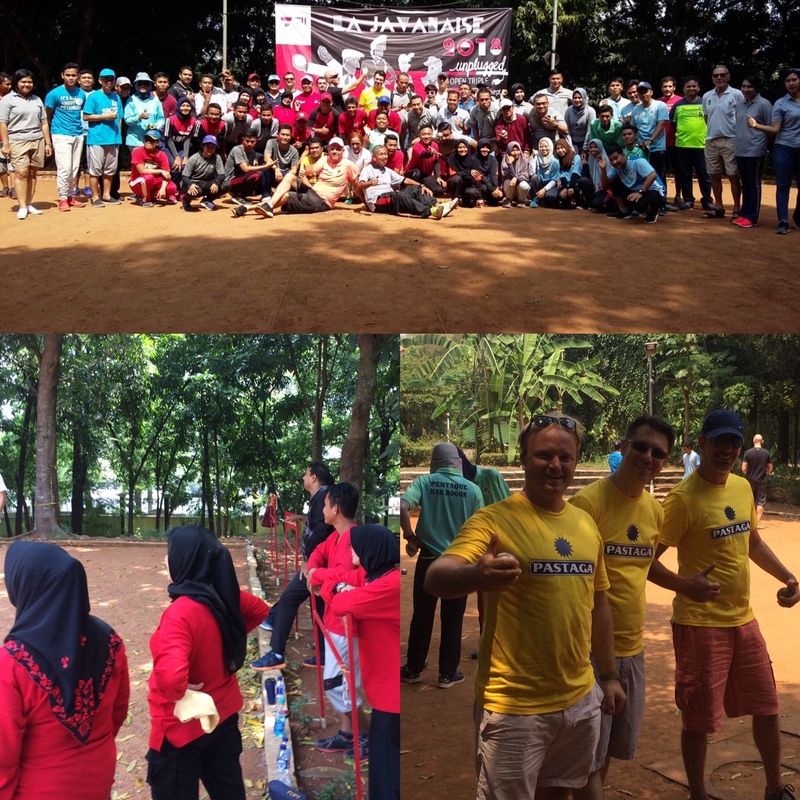 We had mix teams from all level ; some coming from far; Dubai, Maluku, Palembang, Bali, Yogjakarta, and some just from around the corner. 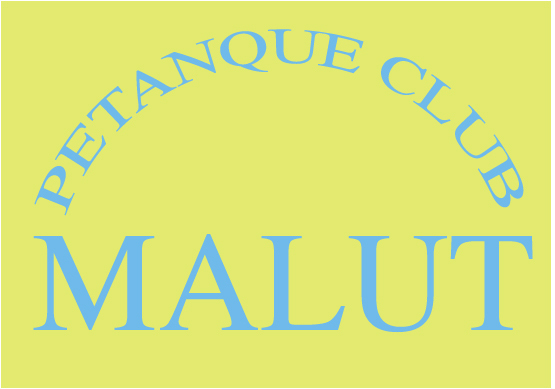 Thank you to all for your good positive attitude and thank you to all sponsor and supporting organisations. 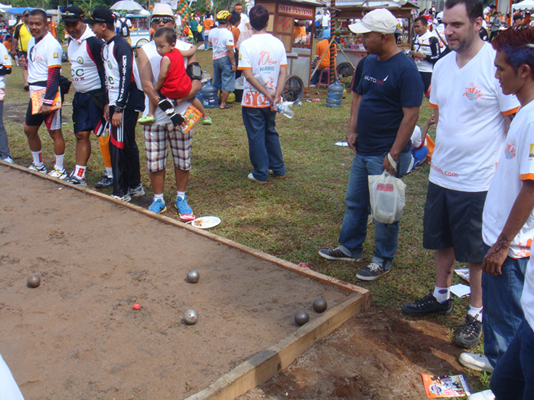 Good and Friendly Pétanque Competition by ADFE / SAFEWAY last May 31st. 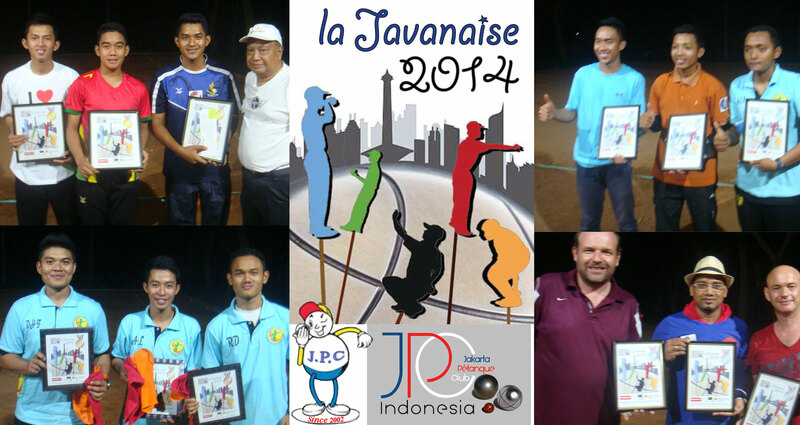 Bravo JPC Teams for keeping the Trophee. 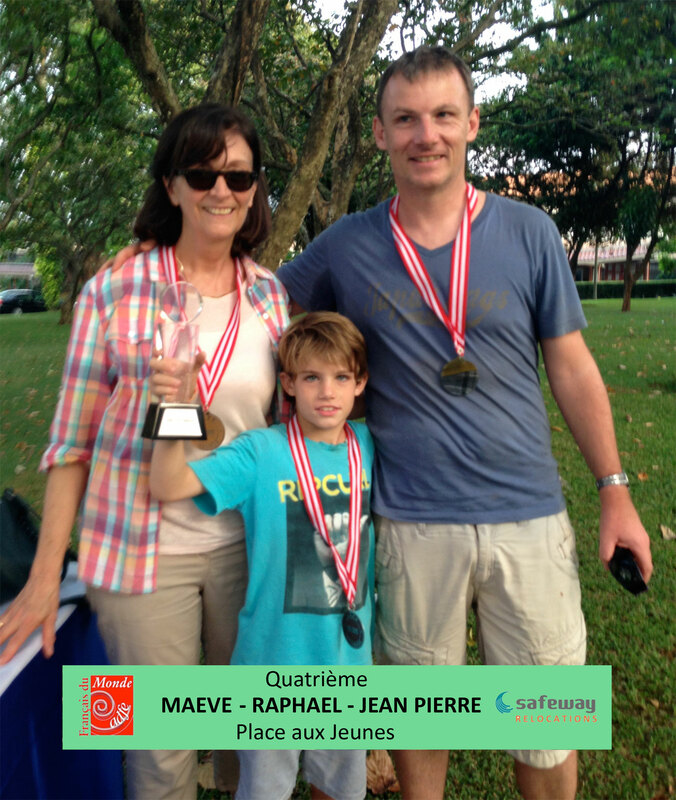 Well done also from other players and specially young Raphael who put up a great fight ! 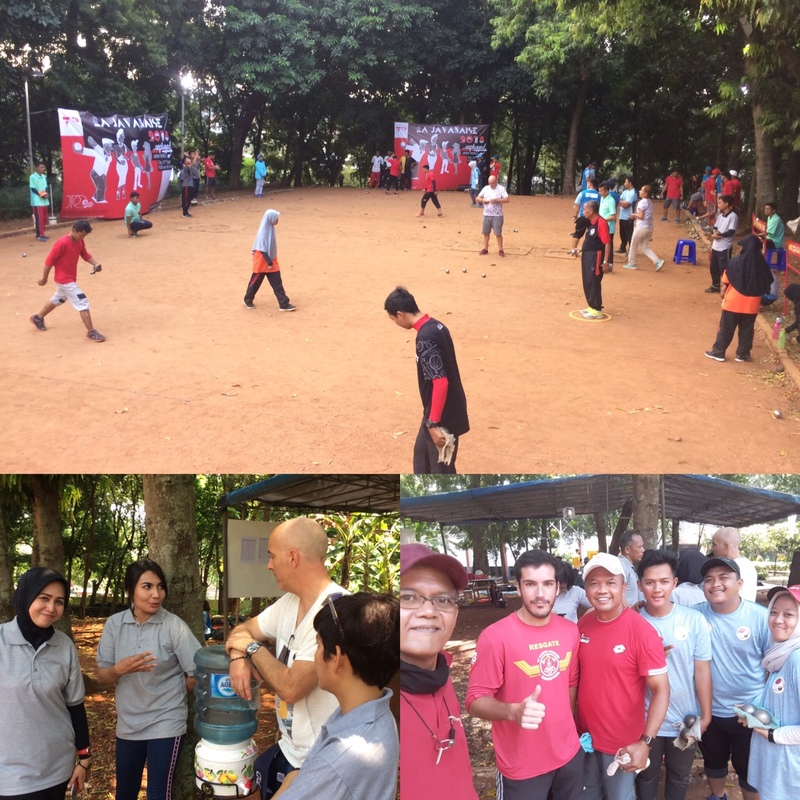 Took place in BSD Taman Giri Loka – Thank you to all players, teams, supporter to have contributed to this event. 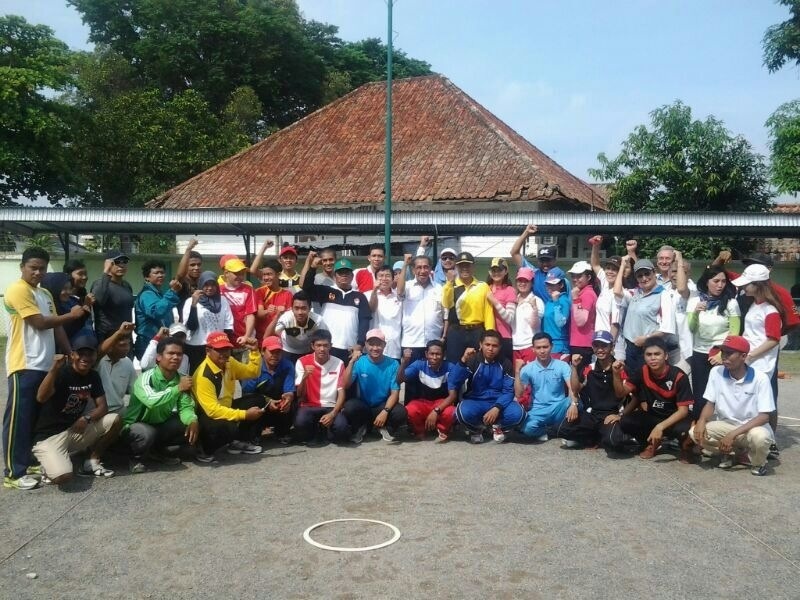 Bravo TeamNas team and all the best for Singapore SeaGames 2015. 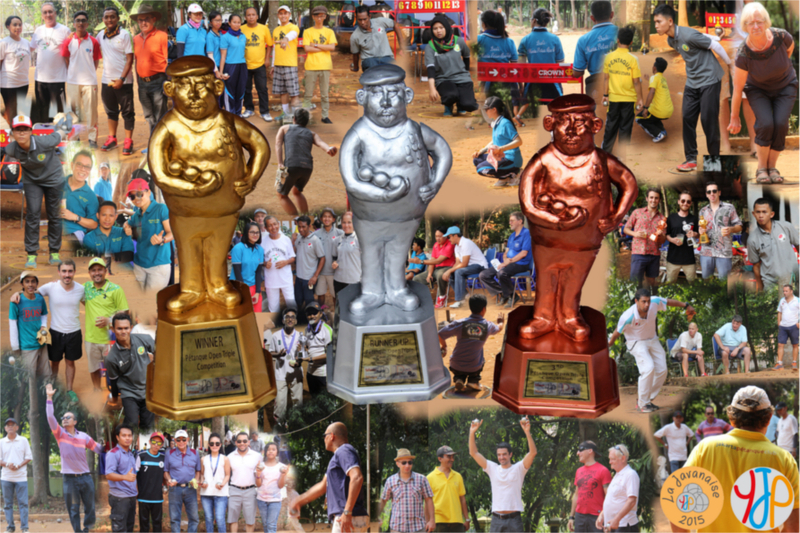 Sunday 19 october 2014 ; fun triple competition Sunday. 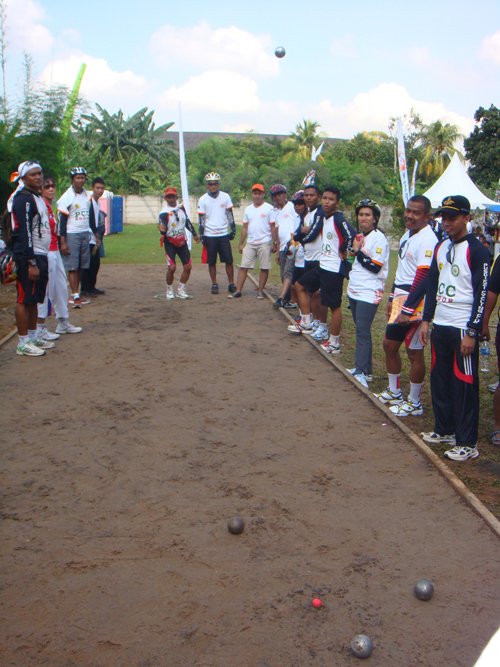 20 teams from around indonesia battled for the title on JPC ground ! 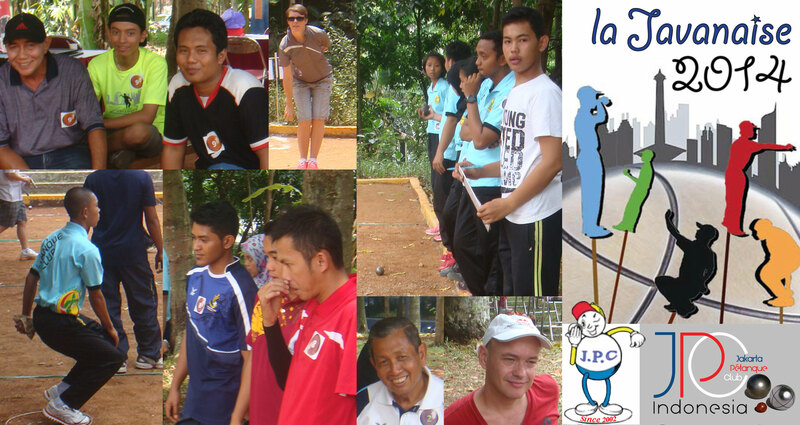 Thank you to all for your good spirit ; players from Palembang, Jogjakarta, Jakarta; from UNJ , Giri Loka Club, FOPI. 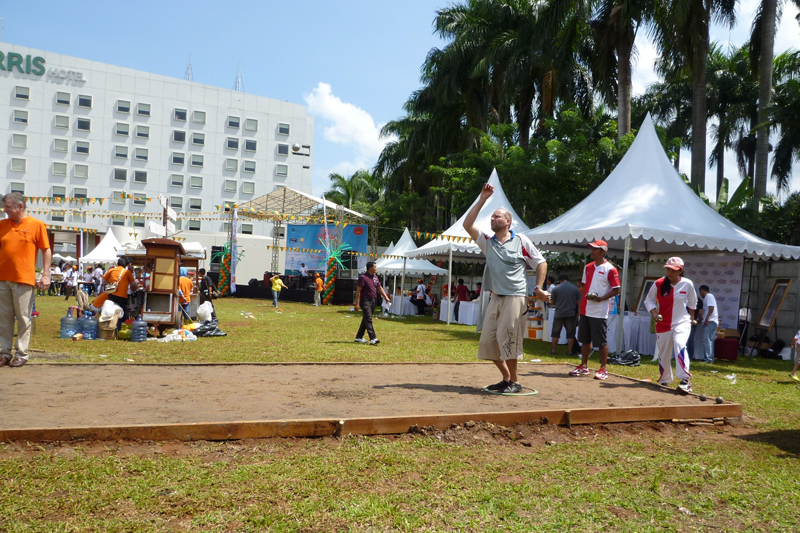 Also special thanks to Bpk Ramdam, Djufri and FOPI President Bpk Isa Saleh for their work on developping petanque in Indonesia. 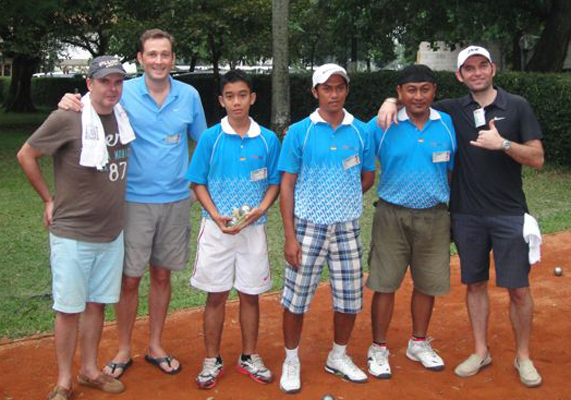 Special thank to Marc and teams from CROWN Relocation who fought well against the young best players of Indonesia. See you all soon !! 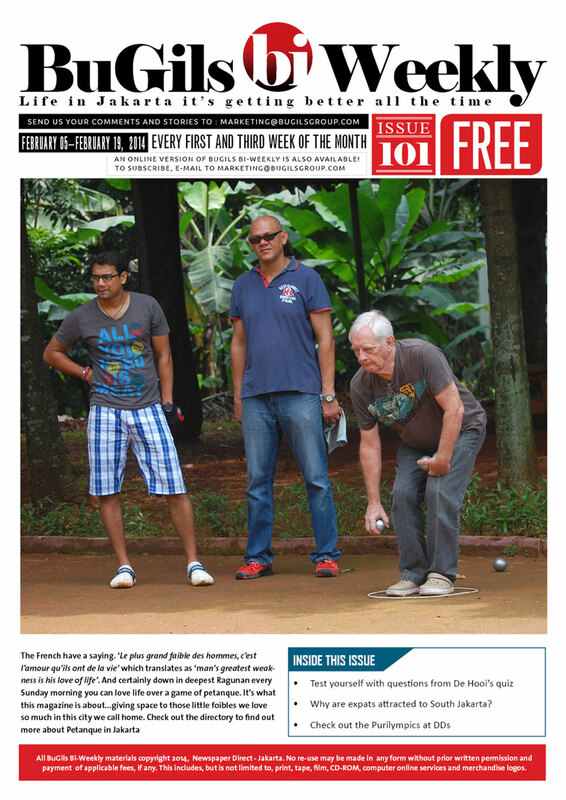 BUGIL’s reporter Antony had the kindness to visit us at JPC latelly and some of our JPC stars (Prakash, Emmanuel & Yves) are now front page on BUGIL’s Feb edition…next step ? 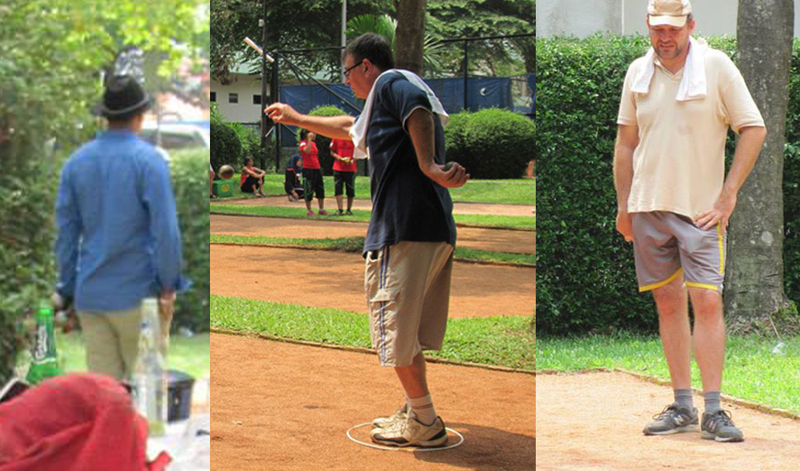 a Special BUGIL’s competition ?? why not ? 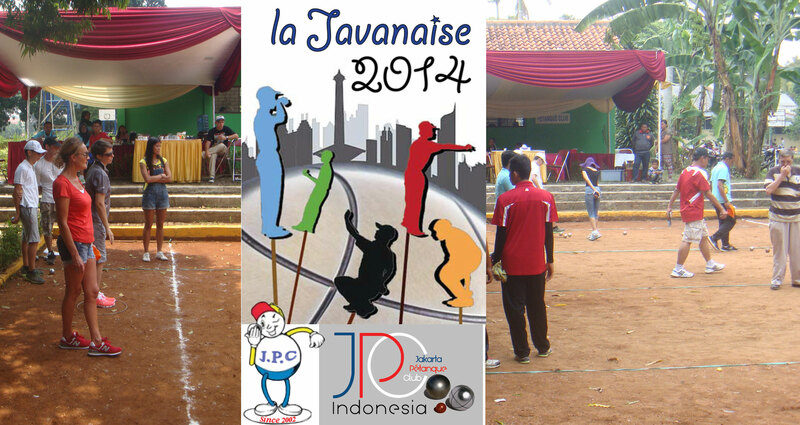 24 triple teams joined in the batle this year for the annual JPC competition baptised “La Javanaise”. 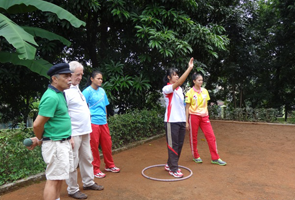 A hot day of game, socialising and fun ! 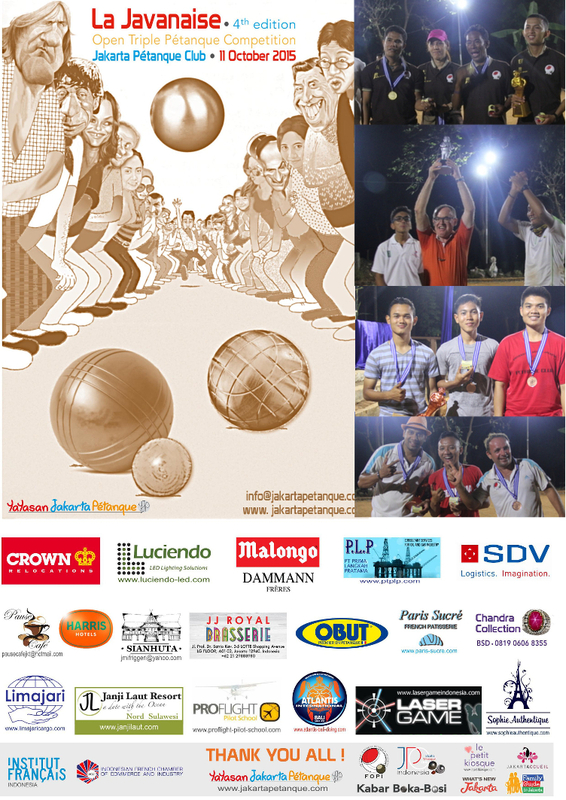 A big thank you to all participants and sponsors. 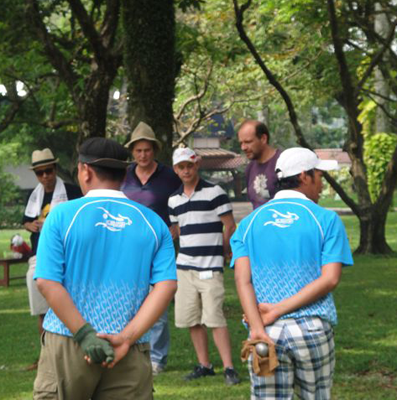 This year we had a 50%-50% local and expat teams. 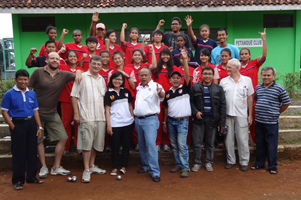 FOPI was less present with players focussing for next asian championship in Bali, but UNJ and Yogja teams joined in with enthousiasm. 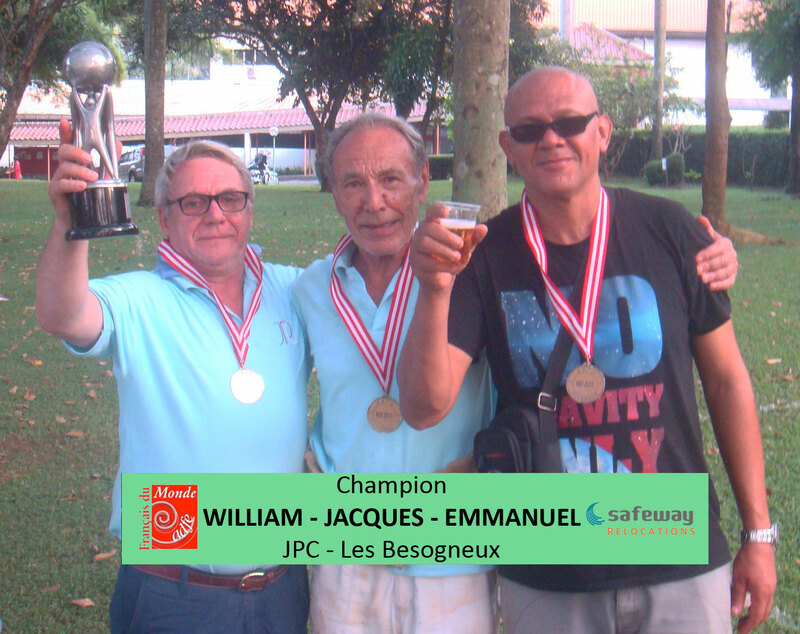 The competition was very open but this year JPC took it all with William, Bruno and Denis (JPC) for gold, congratulation ! 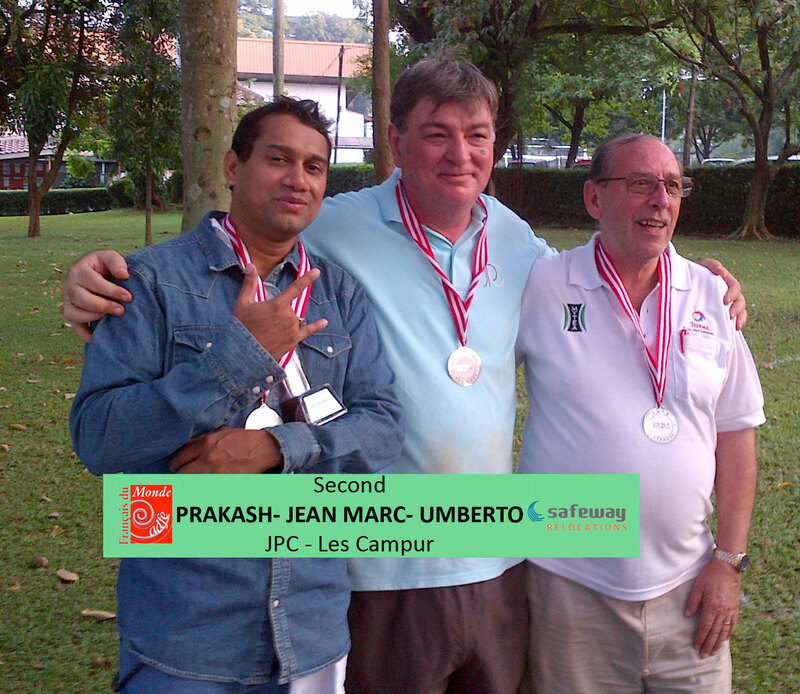 Pk Ida, Ecko and Shain (JPC-GOR) for silver as well as Jacques, Philip, Prakash (JPC) and Andy, Jean-Marc, Umberto (JPC) for Bronze. 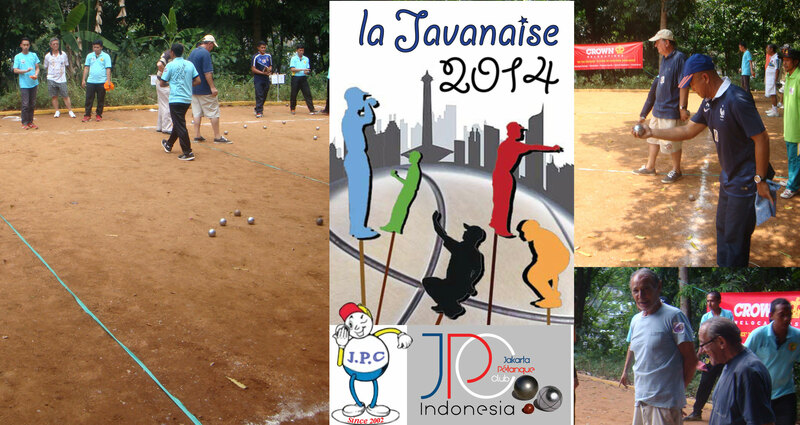 Hoppefully next year, more teams and pétanque lovers will join in for a bigger challenge ! 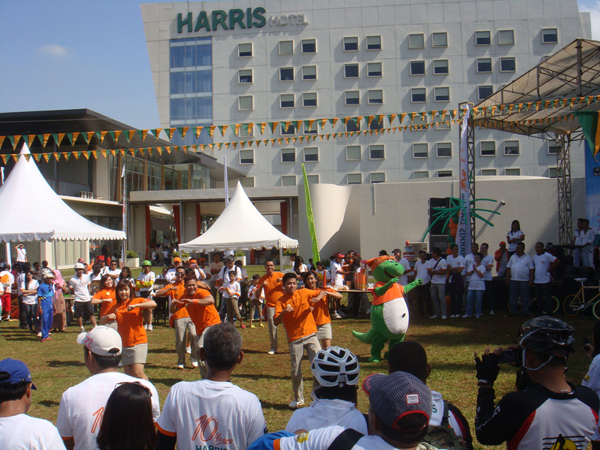 Some of us made it to Palembang this month! 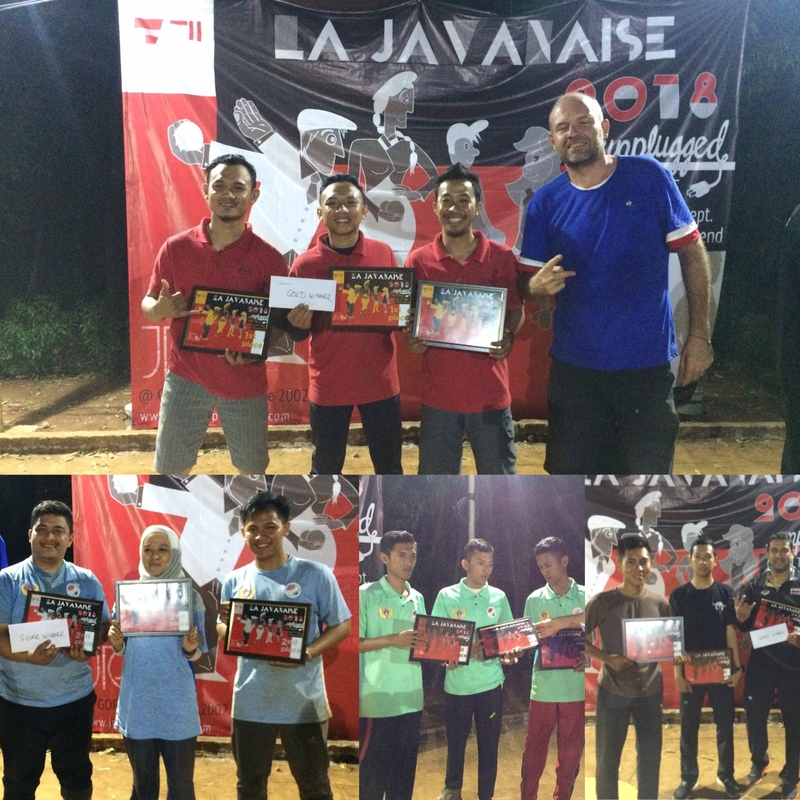 Hope there will be more next time to join in FOPI monthly competition in Palembang. 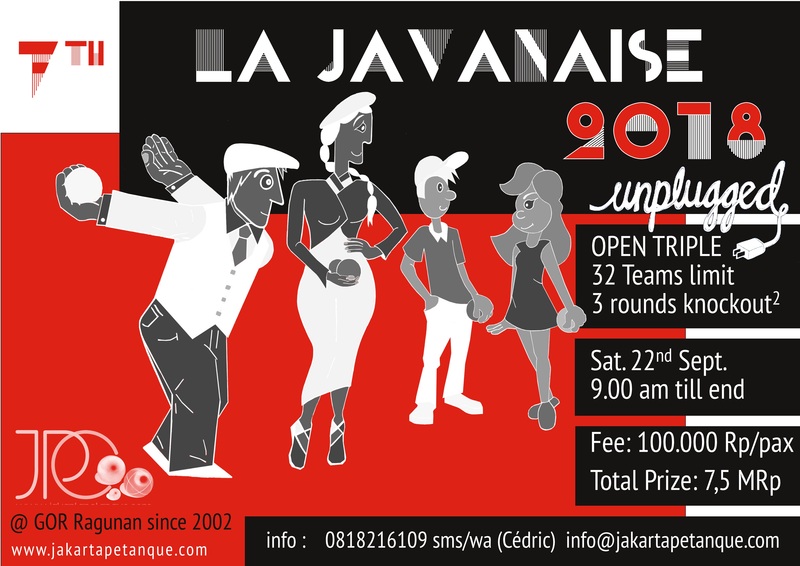 We had the pleasure to receive 26 triple teams for this Open Triple Competition. The day was sunny, the ground was ready and the players were motivated ! 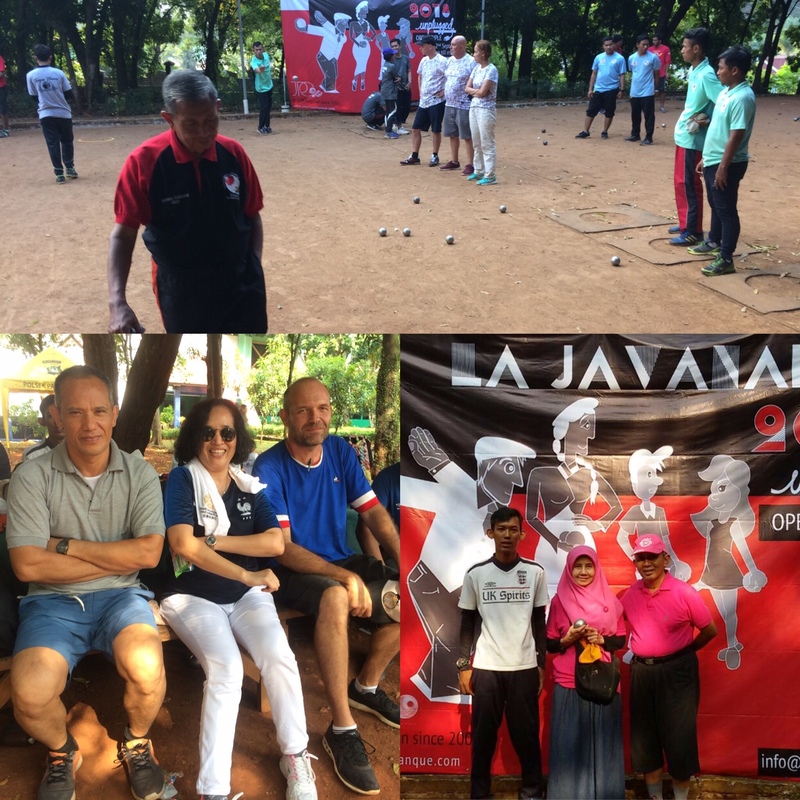 Among the teams, we had expat teams from Jakarta, the JPC club players, teams from Ragunan Sport School & Ragunan Sport Center, ISCI, Universitas National Jakarta and last but not least GAS Palembang and Palembang Petanque Club. 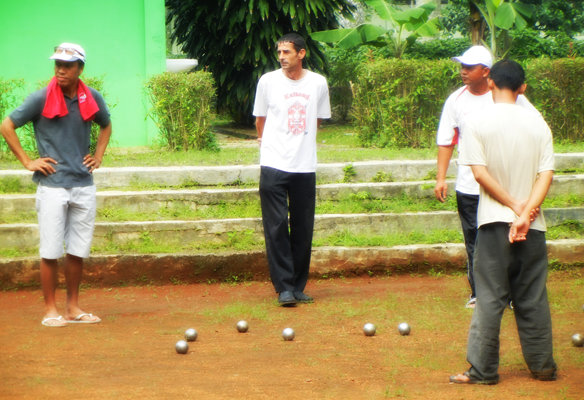 Palembang Petanque Club took the wining places with brio. 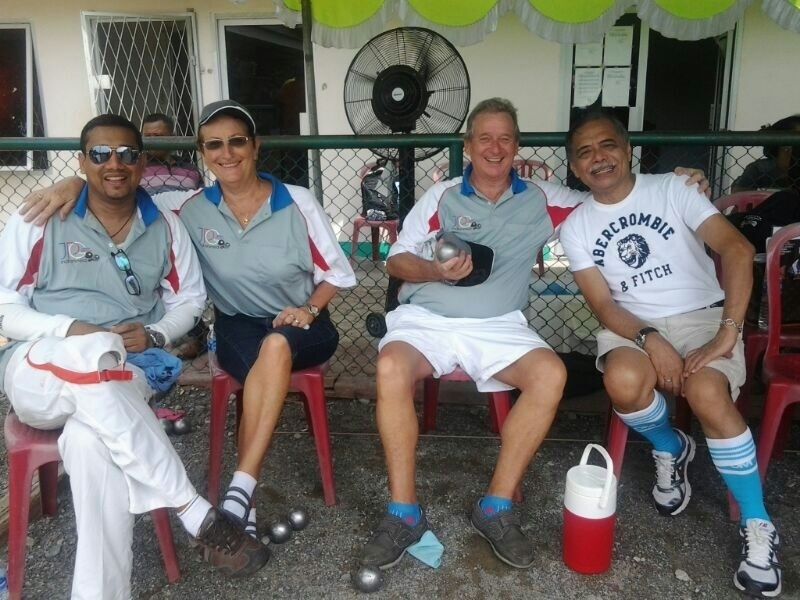 A few of our players joinned in at ISCI Pétanque Tournament to spend a good fun and competition time with famillies and friends. 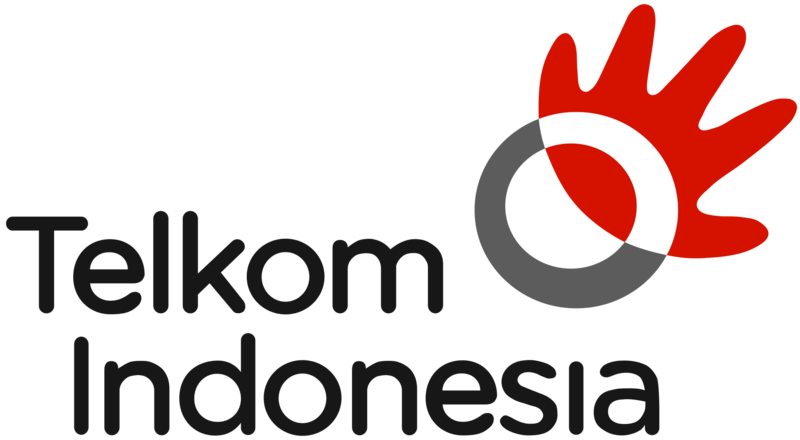 This year some local teams join in from Palembang and Jakarta ; all good for the competition. 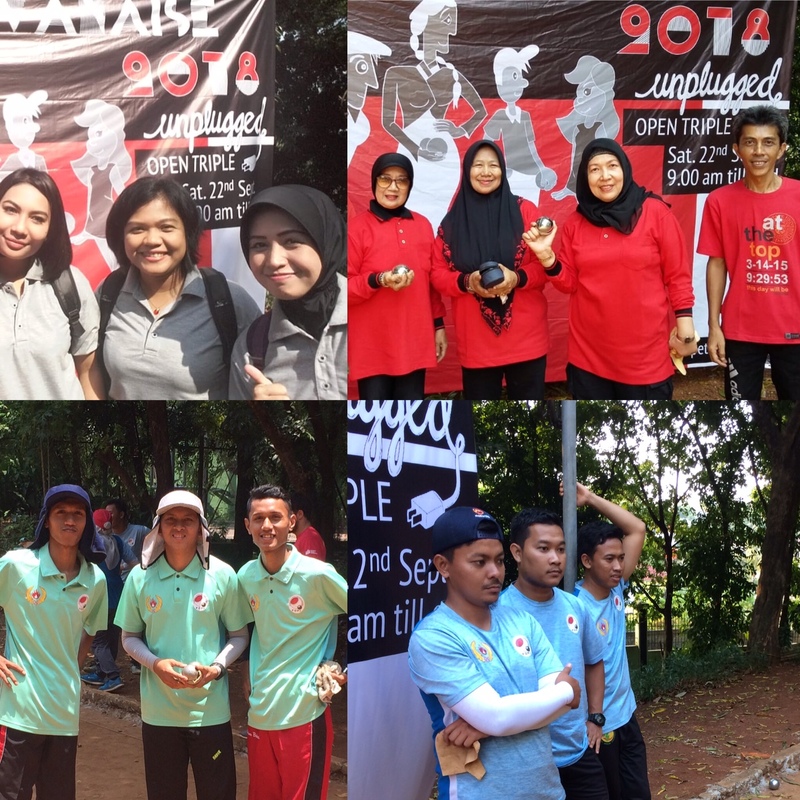 A total of 20 triplette enjoyed that event. 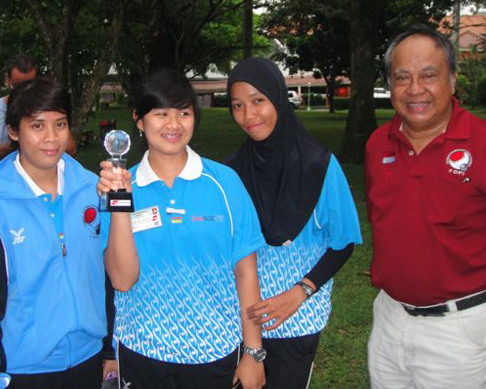 JPC team reached semi final, lacking of consistency. 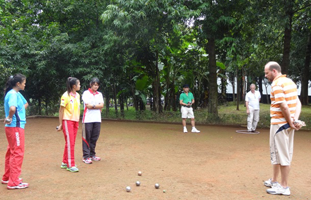 Some very good young local players showed their skills too ! 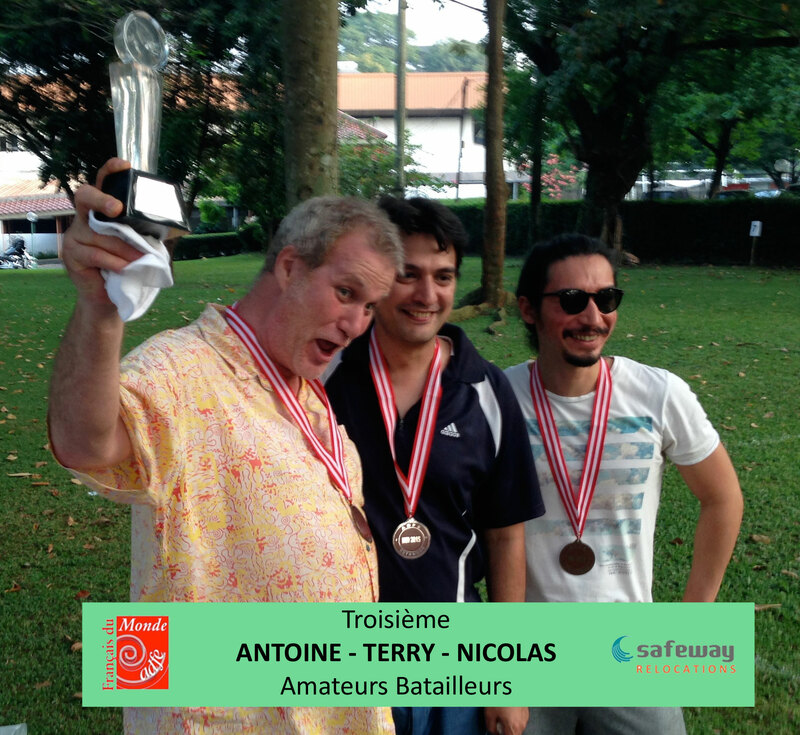 Winner Faro : Olivier, Arnaud & partner, congratulations ! A World Level Player in JPC ! 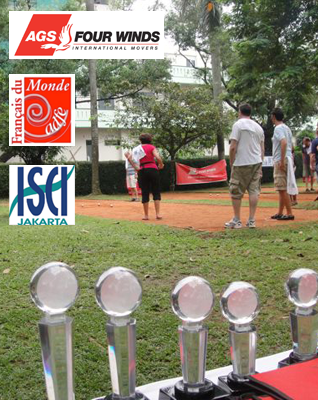 René took part of few World Championship in is carrier representing the Belgium team and reaching 1/4 final level a few time. 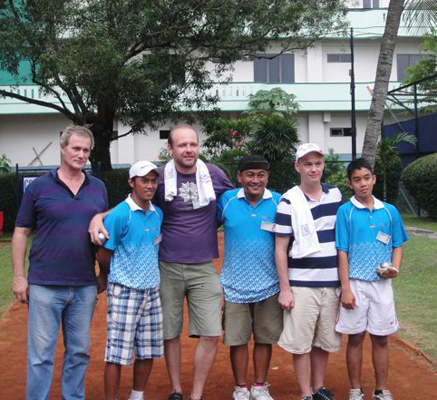 His son William is also a national team player for Belgium. 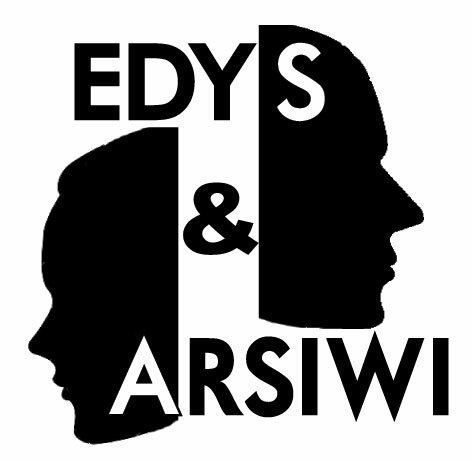 Pictures by Rusly (thank you). 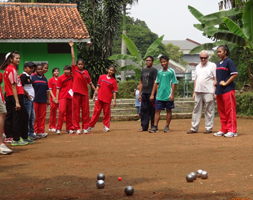 FOPI / JPC Pétanque Introduction & Practice with SMA Ragunan students. 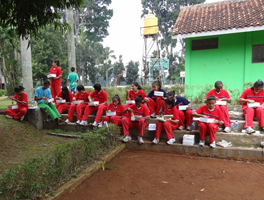 A full day of introduction and promotion towards high-school students organised by Mr Iwan Rosyidi. and team. 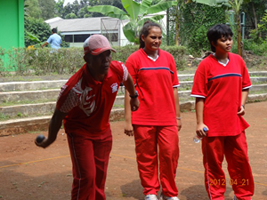 Few players of the Indonesian National Team were there including the Charming Feminine Triplette Annisa (point), Elsa (middle) & Tiya(shooting). 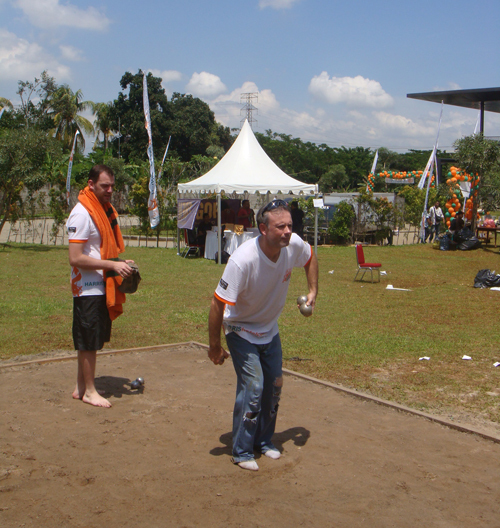 The following day all JPC players were there for the challenge! 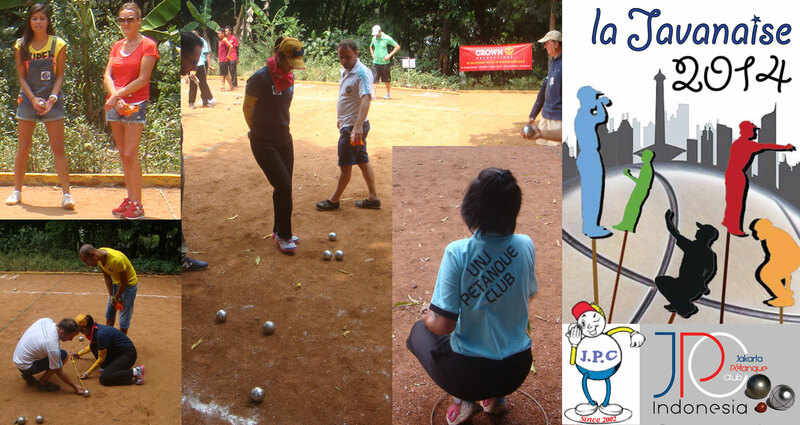 Scores are kept secret so far…. -).